We publish information about upcoming auctions on the Dallas Safari Club website, and put up auction catalogs allowing people browsing the Internet to view the lots. At the time of the actual auction, online bidders and floor bidders are able to participate in the live bidding concurrently through the use of the Dallas Safari Club live bidding software. Absentee Bidding is done on the Dallas Safari Club website itself and takes place before the auction begins. Simply find an item you are interested in and place the bid on the item page. Live bids, on the other hand, can be placed via Dallas Safari Club’s live bidding software during the live online auction. 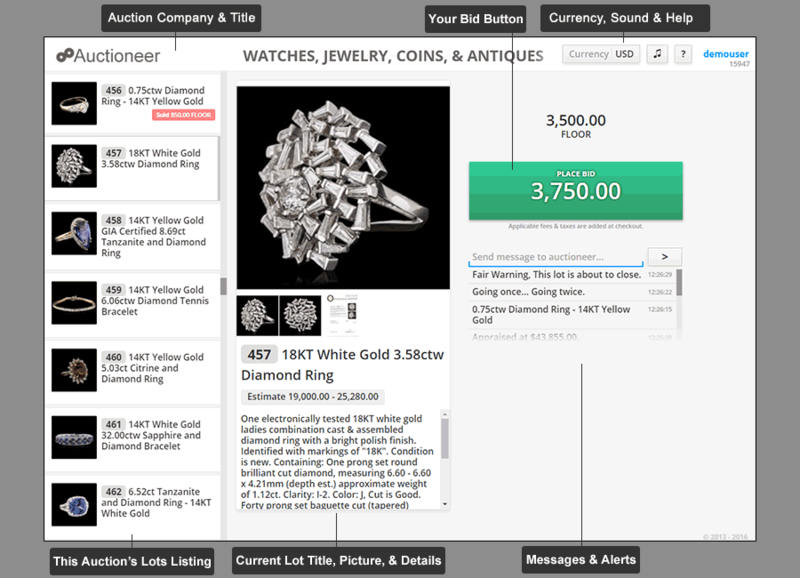 You can launch the live bidding software from any page that the auction or auction lots are listed. Simply click the Live Now button or link to launch the live bidding software.